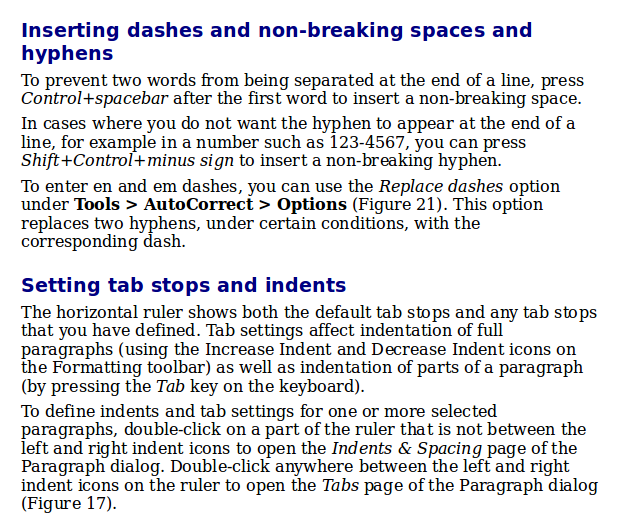 This article is the first of a series of copyediting examples, taken from the OpenOffice.org (OOo) user guides. I won’t be looking at grammar, punctuation, and spelling (the topics most people associate with copyediting) but rather at other errors that copyeditors should also be looking for. 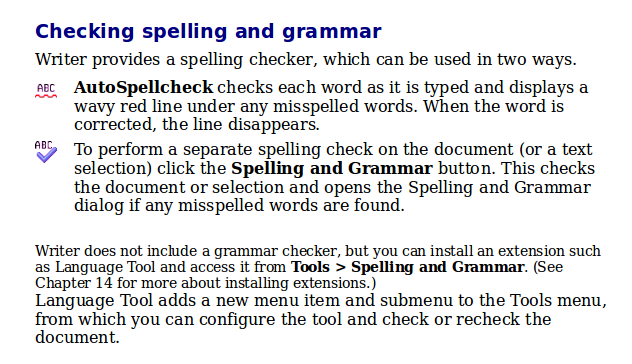 These errors include (but are not limited to) incorrect cross-references, missing or duplicated information, incorrect or unclear figure captions, and incorrect fonts. An editor should check whether the two cross-references to figure numbers are correct. In fact, the figures with those numbers show something entirely different and no figures meeting the description exist anywhere in the document. There are three other errors in this example. The first would be found if the editor used the program to test the statement in the first paragraph. In fact, the correct key combination is Control+Shift+spacebar. The second error is one of consistency: Shift+Control+minus sign should be Control+Shift+minus sign. The third error again requires the editor to check the program; Tools > AutoCorrect > Options should be Tools > AutoCorrect Options. I can find only two errors in this example. 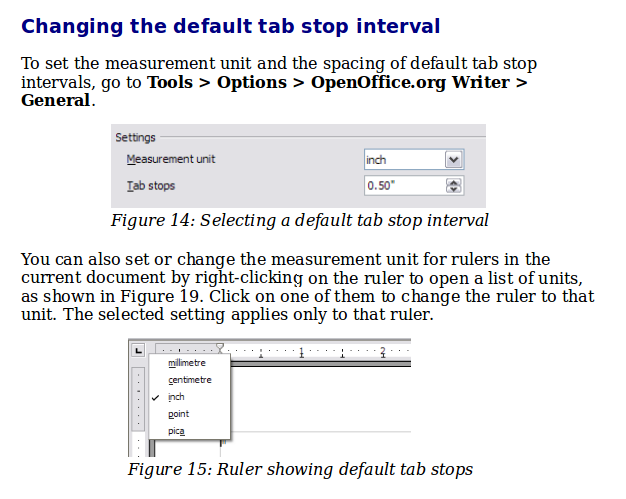 First, the caption on Figure 14 should be something like “Setting the measurement unit and default tab stop interval”. Second, the cross-reference to Figure 15 reads “Figure 19”. This one is a bit more subtle. Can you tell that one of the paragraphs is in a smaller font size than the rest of the text? The paragraph is, in fact, incorrectly tagged with a different paragraph style from the others. This example contains two subtle errors. The last paragraph repeats the third paragraph but is phrased slightly differently. 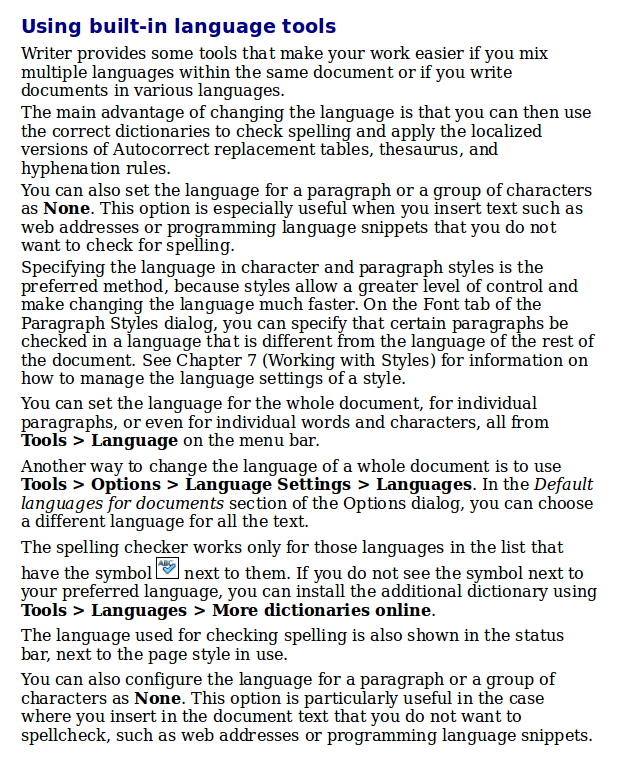 The fourth paragraph contains a reference to a chapter in another book, so it should read “See Chapter 7 (Working with Styles) in the Writer Guide for…” The editor should have the tables of contents of the various books.